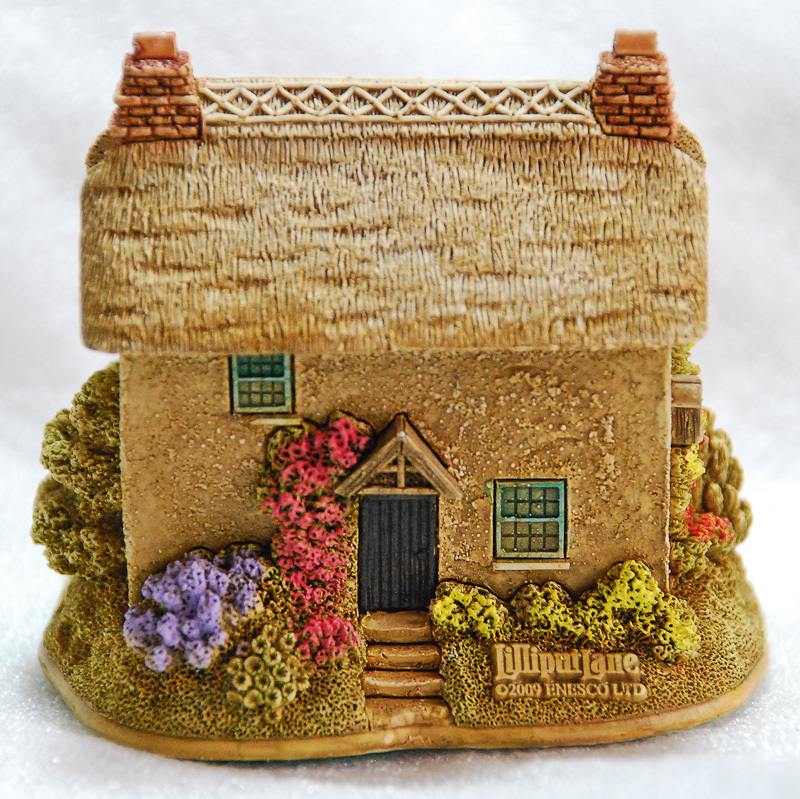 I don’t think words can add a lot to these images, but I’ll just say that the cottage is approximately 60mm high and comes in a nice box with a little slip of paper headed ‘Lilliput Lane Deeds’. The Deeds confirm that ownership has been transferred to you and that your model is a true and authentic original. On the reverse of your Deeds, there’s some text explaining how the cottage ‘has many of the vernacular features of the region you would expect to see’, and referring to the ‘decorative cross-shaped window above the porch’ which, as you can imagine, ‘was designed by a religious person’. Hawker is described as ‘the famous poet, eccentric and vicar of Morwenstow who is responsible for starting the church’s tradition of harvest festivals in 1843, and who lived here for a brief moment in time’. 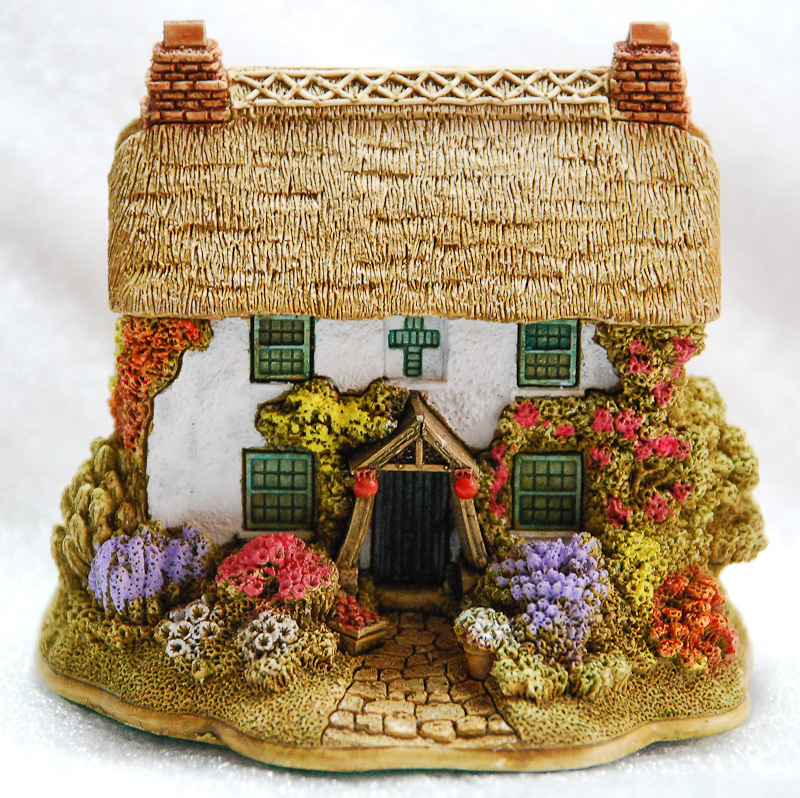 Anyone tempted to purchase a Hawker’s Cottage for their own collection is advised to shop around – most eBay sellers seem to be charging double what I paid on Amazon.